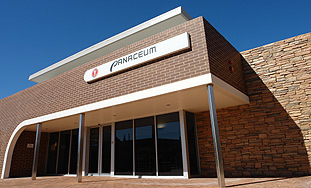 Panaceum has been the providing health care to the wider Geraldton community since 1952. What started out as the Geraldton Medical Group, a small practice established by 2 Geraldton doctors, has evolved into a leading and prestigious regional centre aimed at making health care easy for its patients and rewarding for its doctors and staff. Along the way the practice out grew its premises numerous times until the decision was made to build the ‘Panaceum’, a state of the art medical centre that could incorporate not only GPs but other associated health care services. In 2008 The Geraldton Medical Group became part of the broader Panaceum Group as it was established in the new premises on Lester Avenue. In October 2017 Panaceum’s University Medical Practice moved to the new Seacrest Shopping Centre in Wandina and operates now as Panaceum Seacrest. Today, the Panaceum Group is Geraldton’s only multi-disciplinary medical centre and has more than 50 staff working together to offer a unified and holistic approach to health care. Owned by Geraldton locals, its community focus and core values remain at the heart of its business structure. See more about our vision and values. For your extra convenience we also have an onsite fitness centre, espresso bar, pathology centre and a pharmacy at the Panaceum on Lester Avenue. The Panaceum Group is always evolving and looking to improve its services and capacity to deliver quality health care. We place a strong emphasis on supporting and developing our doctors and staff. Please contact us if you would like to discuss joining our team. In 2017 Panaceum received two Midwest Business Excellence Awards, Business of the Year and Large Business. In 2016 Louise Turner, Operations Manager of Panaceum Medical, won WA Practice Manager of the Year. In 2015 Panaceum was a finalist in the Telstra Business Awards, WA Medium Business of the Year. In 2013 Panaceum was nominated as the runner up, Rural General Practice of the year. In 2011 Panaceum was a finalist in the Large Business Excellence Awards of the Mid West Chamber of Commerce and Industry. In 2010 our Travel Clinic Vaccination Service was awarded Best New Clinic by Travel Clinics Australia. In 2009 the Geraldton Medical Group was a WAGPET Training Practice of the Year finalist. In 2009 the Panaceum centre received the ‘Excellence in Universal Access Award’. In 2008 the Geraldton Medical Group was one of Australia’s fasted growing companies, entering the prestigious BRW fast 100 list at no. 98. 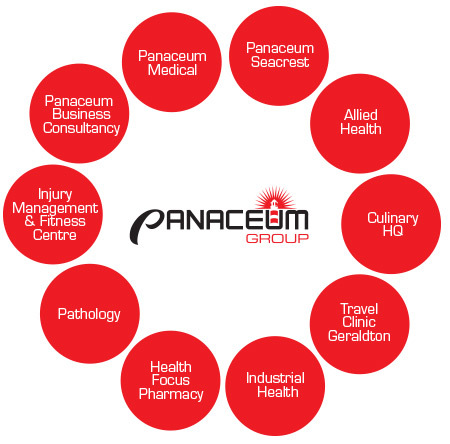 Please don’t hesitate to contact the Panaceum Group to discuss how we can help you.